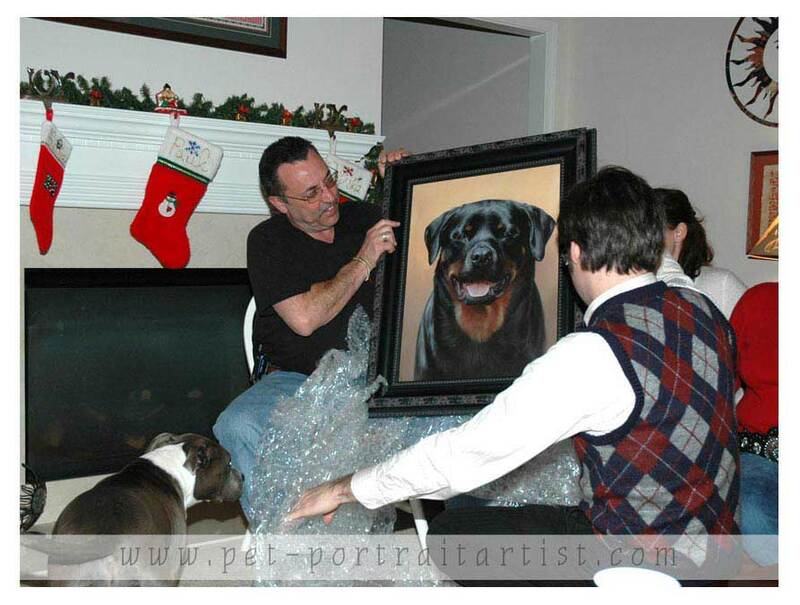 Beverly Crane commissioned an oil portrait of their dog Lothur for a surprise christmas gift for her husband. Beverly even managed to have it framed in time for the big day. She very kindly took a few photos of her husband opening the painting on Christmas day. I received the painting today!! It is even better in real life. I am going to try and see if there are any framers in my area that might be able to get it done before Christmas, if not, I am sure my husband will love it just as much. Also, I hope you don't mind, but I have been emailing my friends the photo of the painting and quite a few have asked for your contact info and I will let you know what the hubby thought after Christmas. Have a wonderful Holiday!! Hello, I hope you have had a wonderful holiday. I wanted to send you some pictures of my husband opening his painting on Christmas and I was going to send a really good one of it framed but I gave my husband the option of taking it to work and putting in his office or hanging it up at home. Much to my surprise he chose his office and the very next day it was gone. 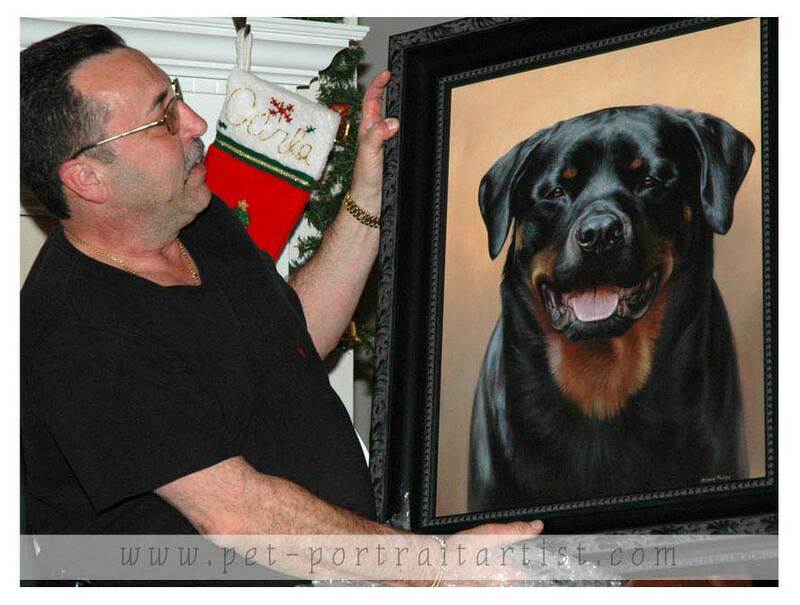 The painting had him choked up when he opened it and he even got teary eyed, everyone was astonished that it was a painting, one family member kept insisting it was a photo. Needless to say, we are extremely happy with our portrait and will always cherish it. Thank you so much for creating such a special piece for us.